While the crew’s efforts to save TWA 841 were initially hailed as heroic, that all changed when safety inspectors found twenty-one minutes of the thirty-minute cockpit voice recorder tape blank. 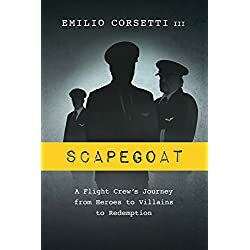 The captain of the flight, Harvey "Hoot" Gibson, subsequently came under suspicion for deliberately erasing the tape in an effort to hide incriminating evidence. The voice recorder was never evaluated for any deficiencies. From that moment on, the investigation was focused on the crew to the exclusion of all other evidence. It was an investigation based on rumors, innuendos, and speculation. Eventually the NTSB, despite sworn testimony to the contrary, blamed the crew for the incident by having improperly manipulated the controls, leading to the dive. This is the story of a NTSB investigation gone awry and one pilot’s decade-long battle to clear his name. Now known as Jade, the woman begins to recall fragments of what led her to this place, and she realizes the danger isn’t over. Jade and the cynical Hawaiian investigator attempt to reconstruct the threads of her identity, but the stakes are far higher than either expected. Haley Randolph is always ready to go to any lengths to get the latest Louis Vuitton. Unfortunately for Haley, her life goes from glam to grim when her passion for fashion outlasts her credit cards, and she’s forced to work at Holt’s – a mid-market department store. Looking for a bit of shopping inspiration, Haley sneaks into the stock room to get a first glimpse of Holt’s one-of-a-kind selection of handbag styles. But instead of the newest Vuitton, Haley discovers her boss is the ultimate fashion victim. As a poor but proud young lady, Jocelyn Shelton had but one dream: to marry a prince and bring comfort to herself and her family. Now circumstances bring her to London, where her charms could make her wish come true. 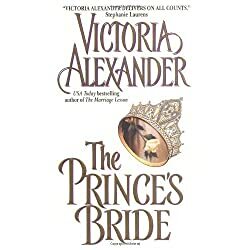 But her rendezvous with royalty is dangerously interrupted, and she finds herself rescued—and thoroughly kissed—by Rand, Viscount Beaumont… a daring man in the service of the king. 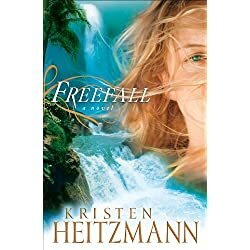 To protect her life, Rand whisks her away to the countryside, and to defend her reputation, he agrees to marry the willful beauty. Lady Jocelyn is hardly his first choice as a bride, but beneath her fiery nature he uncovers a tender vulnerability and a sizzling passion. 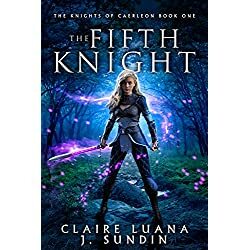 But Rand is keeping a shocking secret-one that, when revealed, could either shake her belief in him or make her realize that it takes more than blue blood to be a true prince. In this intriguing tale of survival, secrets, and redemption, two everyday people thrown together by tragedy must finally face the truth… even if it tears them apart. 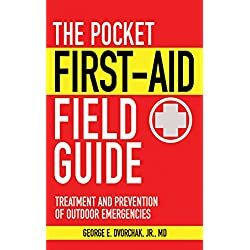 Practical advice for the on-the-go outdoorsman, this field-friendly guide is essential for anyone interested in first-aid preparation and care. Here is advice useful on a hike or for any fishing trip, including step-by-step instructions on dealing with fractures, suturing wounds, treating eyes and ears, managing allergic reactions, and more. With common sense advice, and in a handy, portable package, this is one little book that no one should be without in a campsite or in their forest hideaway. 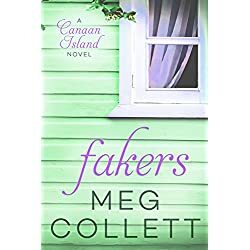 Cookie James thought she was going to make things right with the island’s hottest handyman when she approached Dylan Creed at his favorite fishing hole. But her attempt at a peace offering doesn’t go so well when it leads to the discovery of a dead body. Even worse, it requires a phone call to the reason Dylan is so aloof with Cookie–FBI agent Hunter O’Neil. 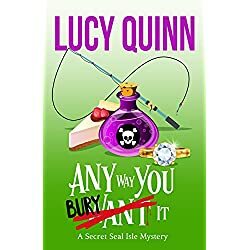 When Hunter arrives, he’s quick to enlist Cookie’s help as he takes the helm of another murder mystery on Secret Seal Isle. And soon enough, sparks fly, making it clear the case isn’t the only thing Hunter’s interested in. 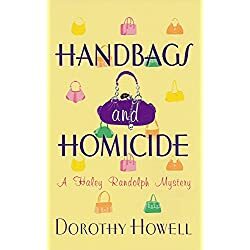 But when Cookie’s meddling mother and her concerned best friend interrupt Hunter’s plans for an evening tryst, Cookie turns to the one thing she does best–solving the crime. Kyra Aberdeen is a YouTube sensation. Her bubbling personality and fresh beauty capture her audience each week, but they don’t know the truth—she’s just faking it. Beneath the surface of light-hearted smiles is a simmering darkness threatening to pull Kyra under. 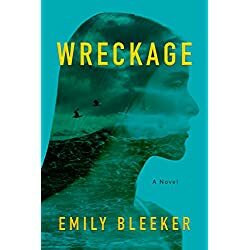 When Kyra moves to Canaan Island and buys her deceased mother’s childhood home, she hopes to confront the lurking shadows haunting her every step. But when she meets her grumpy contractor, even her best-laid plans start to unravel. Hale Cooper is as brutally honest as he is intriguing. He hates fakers, and isn’t afraid to call Kyra on her false personality. 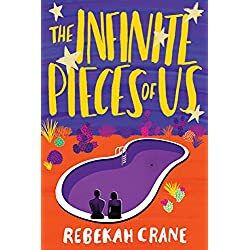 Yet, she is drawn to him, and the unexpected attraction to a man who challenges her to be her true self lands her in uncharted waters. But if she lowers her guard and allows herself to be honest with Hale, will the darkness creep in too?